Hey Guys! White furniture fits just about any decor and I’m white paint is the pick of the week. 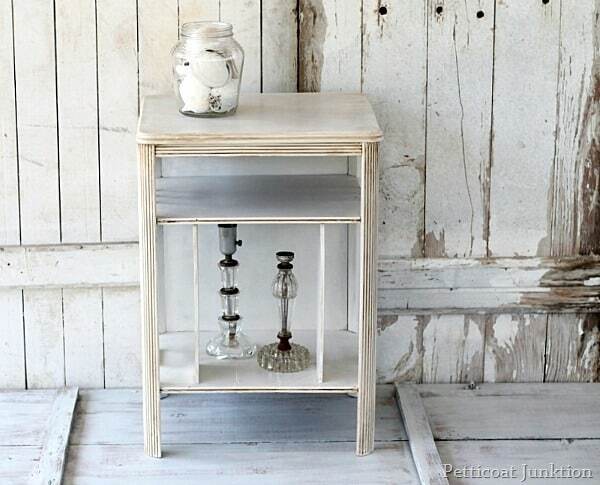 This is day 5 of white furniture week. 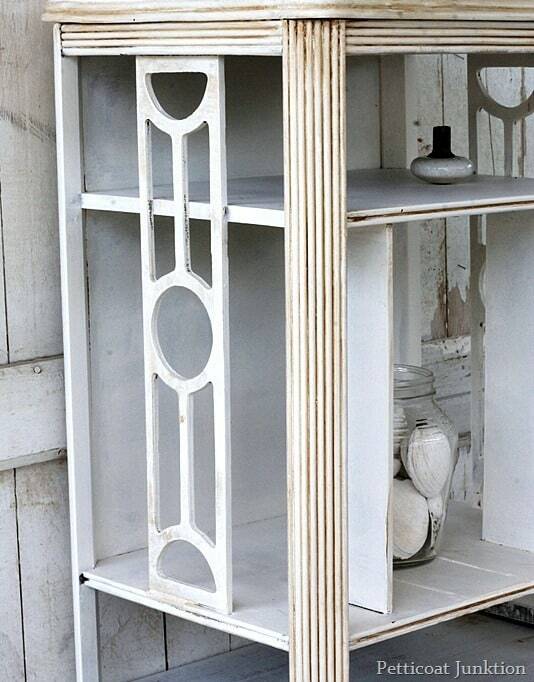 Today the project is antique white furniture. 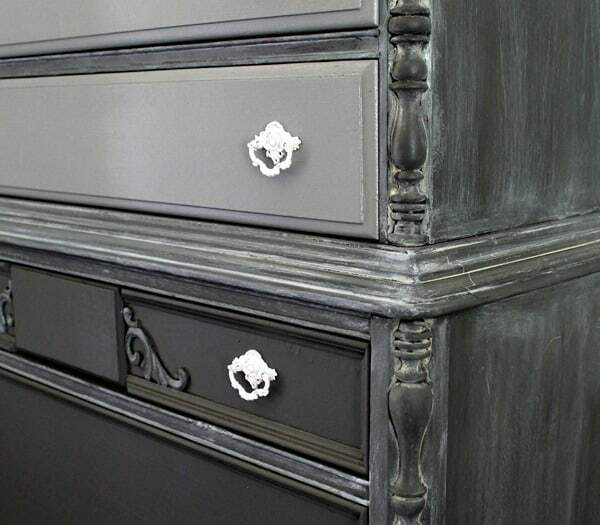 The is one of my favorite furniture painting techniques. 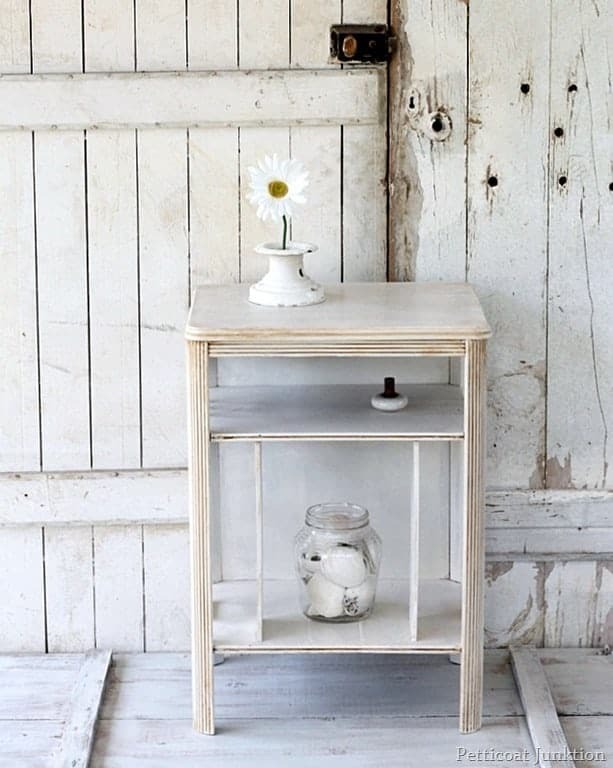 The white paint on the table above was toned to give it an aged look. The toner gives depth to the painted finish and keeps it from looking plain jane. Yet another table from our den. No the den isn’t just a room full of tables…although it would appear that way. I spray painted this table many years ago. You know….all 4 tables in the 5 days of white furniture were hard to paint. I knew they were going to be….I mean…..look at all those cut out side details. I started to use my paint sprayer and do them all at once. It would have been quick and easy. But there’s something about brushing the paint on and just letting your mind wonder. This table got a coat of Reclaim off-white also. 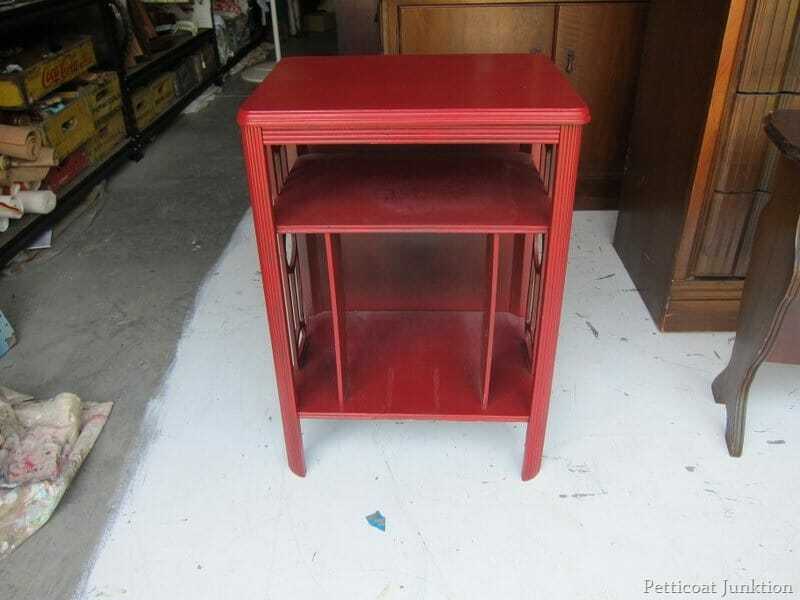 I only applied the Caromal Colours Toner to the front legs, top edges, top, and shelf fronts. Last day of the white furniture marathon. 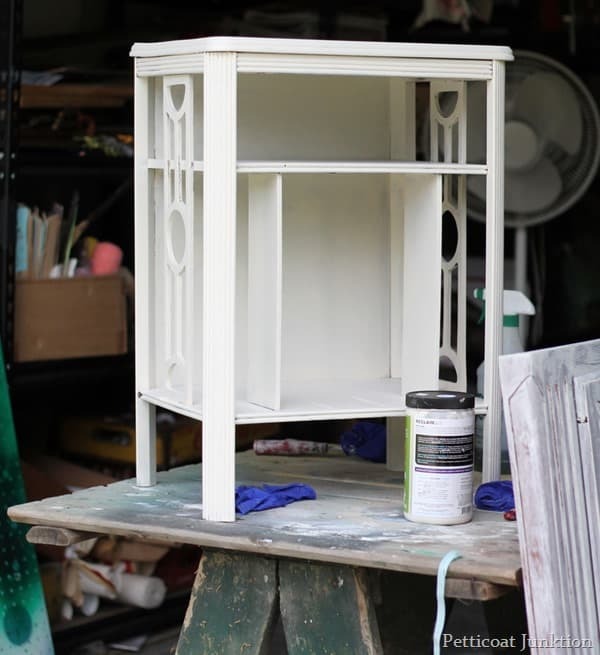 If you missed Day 1- Day 4…..
Find more Reclaim Beyond Paint projects here …15 Reclaim Beyond Paint Furniture Makeovers. I love them all! You’re making seriously think about repainting my black furniture white! 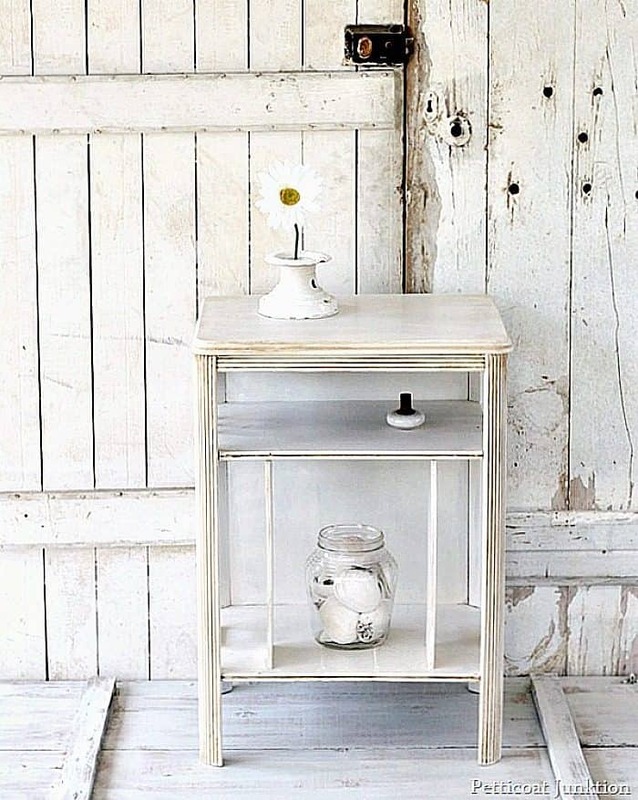 I really like the tables from yesterday and today being painted white, but I think I would like them even more without the antique glaze. It is terrific! I have just the spot for it, giggle. Hugs P.S. I invite you to share at my hop tomorrow. Thanks for the party invitation Katherine! The table has a spot in my home right now but if I get rid of it I’ll let you know, lol.